For anyone reaching their Golden Years, or for anyone just getting past their "peak years", or for anyone who is growing older each year, the above verse should be a source of inspiration. Moshe and Aharon were sent on a difficult mission, to say the least. Just recently an ancient Egyptian city was discovered under water. Six and a half miles of the coast of modern day Egypt an ancient city was found. Even now, even under water for thousands of years, its grandeur and splendor are undeniable. And yet Moshe and Aharon were sent to speak to the great Pharaoh and represent the Nation of Israel in slavery, a subjugated people, and speak in the name of a God unknown and unseen. For Moshe and his brother Aharon to approach the great Pharaoh, King of the Egyptians, and make the demand for freedom, took courage, a LOT of courage. These two old guys did it. They mustered up the courage and they faced their greatest fear. Today people are attracted to youth, to all things young. "IDF Krav Maga" draws a great deal of attention as practitioners around the world feel that by signing up for such classes they will somehow attain the power the Israeli army displayed in its many conquests over its enemies. But let us stop and think for a moment; most IDF (Israeli Defense Forces) soldiers are between the ages of 18 and 21 while most non-IDF civilians are not between those ages. Most soldiers spend a great deal of their time in physical activities and are in the best shape of their lives while most non-soldiers spend most of their time working in non-physical jobs. 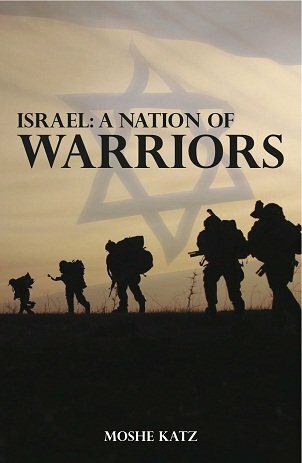 So even if the myth of "IDF Krav" were true (which it is not), we would still be facing a problem here. Moshe and Aharon offer a different perspective; you can be powerful and courageous and effective at any age. That is our goal at IKI Krav Maga; Krav Maga for all people, all ages, all physical conditions. We strive to teach techniques that are simple, easy to learn, easy to use. We do not teach jump kicks to the head. We do not teach acrobatic moves. We do not require you to do splits or lightening fast punches. We do teach techniques that anyone can use with a bit of practice. In fact we have many incredible students and instructors in their 60's and even 70's. We are very proud of them. And Moshe was 80, and his brother Aharon was 83, and they were leaders and warriors! Learn the true history of a fighting nations, lessons learned and applied and still valid today. From the first Hebrew fighter, the Patriarch Abraham, to the Abrahams of today, direct descendants of the original Hebrew warriors.